Michael H. Kelly currently serves as the Executive Director of the Los Angeles Coalition for the Economy & Jobs, a non-profit organization comprised of leaders from the business, labor, academic and non-profit sectors dedicated to advancing initiatives that generate economic and jobs growth and improve the quality of life in the L.A. region. Prior to working with the Los Angeles Coalition, Mr. Kelly has worked in a number of high-level positions, both in the private sector and with California State government. Prior to the L.A. Coalition he served as the Manager of California Government Relations for the Boeing Company, a multi-billion dollar publicly traded company in charge of managing Federal, State and Local government relations and political activities throughout California. Additionally he helped coordinate government relations support at each of the company’s site operations. In the public sector Mr. Kelly had the distinction of being appointed by both Governors Gray Davis and Arnold Schwarzenegger to the California Film Commission, where he served as Deputy Director, successfully spearheading both Governors’ policies and initiatives to retain and attract motion picture production to California. 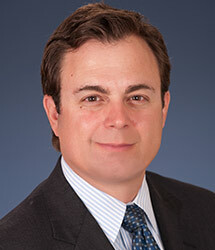 He was also appointed by Governor Jerry Brown to the California Workforce Investment Board. He currently serves on the Board of Trustees at AltaSea at the Port of L.A., is chair of the FUSE Corps L.A. Advisory Committee, the chair of the Philanthropic Foundation for California State University, Dominguez Hills, and a member of the Los Angeles Cleantech Incubator’s Diversity in Entrepreneurship Committee, the Pacific Council on International Relations, a partner at Saving The West, advisory board member for WorkingNation, as well as an adviser to Transmosis. He was also the recipient of the EnCorps Teachers Program 2010 “Torchbearer of the Year” Award.